Robo-advisor or human advisor the idea that an investor must choose one or the other is a myth, according to research by Cerulli Associates. Robo-advisor or human advisor — the idea that an investor must choose one or the other is a myth, according to research released in December by Cerulli Associates. According to the December edition of The Cerulli Edge, the very name robo-advisor is deceptive, as most platforms offer some level of communication between investors and representatives. Furthermore, as big players like Schwab and Vanguard have entered the robo space, they’ve allowed investors using their digital offerings to interact with advisors as well, Cerulli found. The firm expects this trend to continue, with retail firms using digital advice to scale their relationships with clients. By shifting the burden of portfolio construction to the investor through the digital platform’s algorithm, retail firms build efficiency into the portfolio construction process. “As retail direct firms embrace automated advice, the convergence between human and digital advice will grow,” according to the report. That’s important for firms that want to retain their client base. Cerulli found that consumer satisfaction among digital platform users increased at least 15 percentage points when a human was involved in delivering advice. Additionally, over half of millennials say they are comfortable with an online advice relationship, according to research by Cerulli. “As this cohort builds wealth and begins seeking advice, all financial services firms will find that they must deliver advice via the Internet, further increasing the convergence between the digital and the human element,” according to the report. On the spectrum of robo-human convergence, Wealthfront, AssetBuilder and WiseBanyan provide the least human interaction for investors. Investors who use services like Betterment, SigFig, FutureAdvisor, Rebalance IRA and Hedgeable can access a representative when they need help, while direct providers like Vanguard and Schwab, and digital platforms like Personal Capital and TradeKing, offer more integrated robo-human services. The overall market for digital advice is still relatively small at under $19 billion, Cerulli found. As of the second quarter of 2015, Vanguard had the largest share of the digital market at nearly 38%, with $7 billion in assets under management advised digitally. Charles Schwab had the second largest market share at 16% with $3 billion in digital AUM, followed by Betterment and Wealthfront, each managing $2.5 billion. The defining characteristic of a robo-advisor is that it uses an algorithm to construct investors’ portfolios. Most use modern portfolio theory, Cerulli found, but some augment the process with Black-Litterman techniques, which bases expected returns on explicit assumptions. “This technique prevents the creation of overly concentrated portfolios,” according to Cerulli. ETFs are the most common type of investment in a robo-advised portfolio, although some providers, like AssetBuilder, use mutual funds, too. Most digital portfolios are passively managed, but here again there are exceptions, Cerulli found. Financial Guard allows investors to choose between active and passive management, while investors on TradeKing and Hedgeable platforms aren’t limited strictly to passive strategies. Most digital platforms offer some kind of tax planning advice, while some go beyond basic tax-loss harvesting, according to Cerulli. 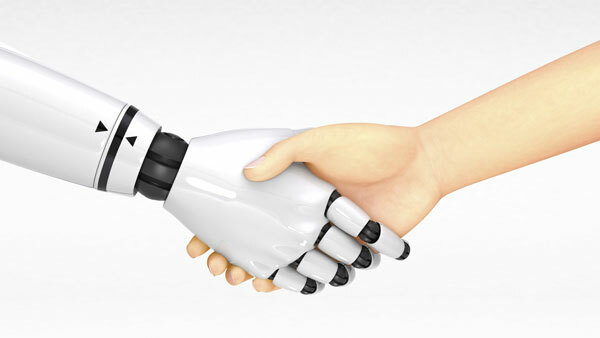 Although not offered universally among robo-advisors, many digital platforms such as Personal Capital, SigFig and FutureAdvisor allow investors to aggregate assets held in other accounts. While robo-advisors typically offer lower minimum balances and fees than traditional advisors, there are more opportunities for differentiation here. Some offer no minimum balance at all, while others require an initial balance that is lower than most mutual fund minimums, Cerulli found. The leading digital providers charge between 25 and 35 basis points. Transparency in fees is a key selling point for digital advice platforms; however, transparency is treated differently across platforms. For example, Cerulli noted, Schwab doesn’t charge advisory fees in its Intelligent Portfolios platform, instead charging investors through expense ratios on its proprietary ETFs, revenue sharing from nonproprietary ETFs, and cash balance spreads. WiseBanyan calls itself the “world’s first free financial advisor,” but Cerulli referred to its Form ADV Part II, which shows that free services don’t apply to investors who want a customized portfolio, for which they will pay between 50 and 100 basis points. — Read Can Robo-Advisors Really Be Fiduciaries? on ThinkAdvisor.